Something to do for Everyone in St. Lucia! Here at Oasis Marigot, we cater to active travelers who like to get out and explore, whether that entails casual snorkeling and beachgoing, or mountain biking through the jungle, or visiting St. Lucia’s renowned Pitons Mountains and botanical gardens! Although there’s plenty to do on the island, and even more than what’s just listed here, we’ve compiled the most popular activities here for you, and even suggested a weekly itinerary to help with your planning, because while most activities can be done any day of the week, some only run on specific days. Our most popular activity - set sail from Marigot Bay in the morning, sailing down the coast to the famous Pitons Mountains. Stop and visit the botanical gardens and the active volcano. 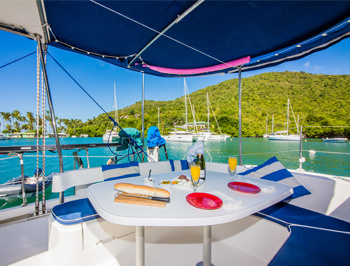 Enjoy lunch and rum punch aboard, and some snorkeling along the sail back to the bay in the late afternoon. Private day sails available any day. Sails north from Marigot Bay up to Rodney Bay. Visit the Pigeon Island National Park and its old fort and cannons, spend some time at the beach, or do some shopping at the lovely little Rodney Bay shops. Enjoy lunch at one of the many local restaurants, and snorkel on the way back. A wonderful and romantic way to spend a late afternoon. Set sail in mid-afternoon and enjoy the beautiful Caribbean sunset over the horizon with sparkling wine and hors d'oeurves. Return to the bay just as the sun disappears - in time to continue the romantic evening at a restaurant or your villa. Looking for some excitement? Fly through the jungle canopies on a zipline. Your guide will point out interesting wonders of the rainforest along the way. Also try the rainforest tram tour to learn more about the nature and animals. There are just as many wonders below the sea as above in St. Lucia; beautiful unspoiled reefs, an array of micro and macro marine life, incredible walls by the Pitons mountains, and a bounty of shipwrecks to explore. For intermediate to advanced divers. In the picturesque little town of Anse La Raye, just south of Marigot Bay, locals and tourists alike come together for the weekly fish-fry festival called the "Jump Up!". Enjoy freshly caught and grilled seafood like red snapper and lobster, plenty of cold drinks, music, dancing, and fun all around. We offer a guide and taxi service to and from the festival. The Pitons; the most famous landmarks and icons of St. Lucia. Hiking to the top is the only way to fully conquer a St. Lucia vacation! A guide leads you up the 'Gros Pitons' on a 5-hour round trip hike to the top. There's no question that it's tough, but anyone who feels they can do it, should! The view from the top is an incredible reward (and bragging right!). A wonderful way to explore a place - and especially Marigot Bay, is to take out a little Hobie catamaran, paddleboard, kayak, or windsurf and just get out and explore! There's a variety of fun water sports to try out, and plenty of little treasures in the bay waiting to be discovered. Experience a truly authentic Caribbean fishing experience - aboard the characteristic fishing boat of your fishing guide Peter; a local fisherman who's been doing this his whole life. Fish for red snapper, grouper, dorado (mahi mahi), tuna, and more! Whether you’re a novice or experienced rider this tour is fun for the whole family! You’ll be biking through exclusive private trails through the lush tropical jungle. Get a chance to see wildlife and exotic flora. You’ll have the opportunity to see the stunning Dennery Waterfall, arguably the most spectacular on the island. There are many wonderful snorkeling coves, reefs, and beaches all around the island of St. Lucia, and many of them you can only easily get to by boat. We offer water-taxi/snorkeling excursions to the best snorkeling areas around. Great for families - spend time between swimming, snorkeling, and relaxing on the beach before your boat ride back to your villa. Equipment included. 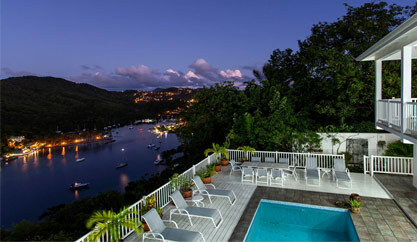 A half-day trip to the capital of Castries and its renowned market! Browse through an abundance of local vendors selling everything from local fruits to fresh seafood to handmade crafts, spices, and sauces! 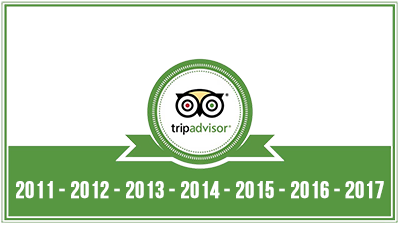 A great place to find a souvenir of your trip - or your dinner for that evening! St. Lucia is still an overall very undeveloped island, with plenty of unspoiled, pristine forests that are a haven for birders! There are also many endemic species that can only be seen here, like the St. Lucia Parrot, which was once nearly extinct but is slowly regaining ground! Take a guide from the St. Lucia Forestry Department on a park trail and experience the birds of St. Lucia! 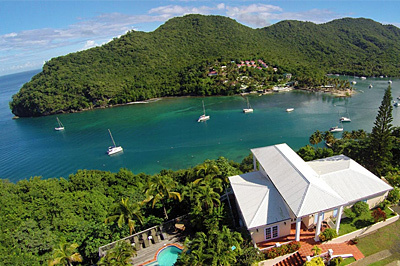 If you are looking for a week full of action & adventures, you will find it at Oasis Marigot! We are suggesting the following schedule - as some activities are only available on certain day(s) of the week, although most are available any day of the week. 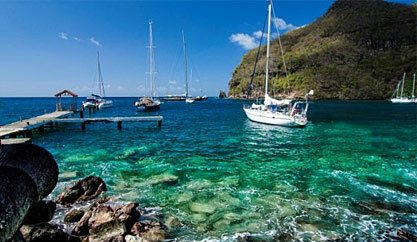 St. Lucia has a lot more tours to offer, but these are the most popular with the Oasis Marigot guests. 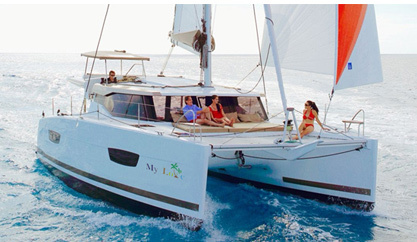 Above all, we highly suggest our Club's Sailing Package (South & North Tours of the Island), this a sure way to taste the Best of St. Lucia: sailing, beach, snorkeling, history and sightseeing of the nicest spots. 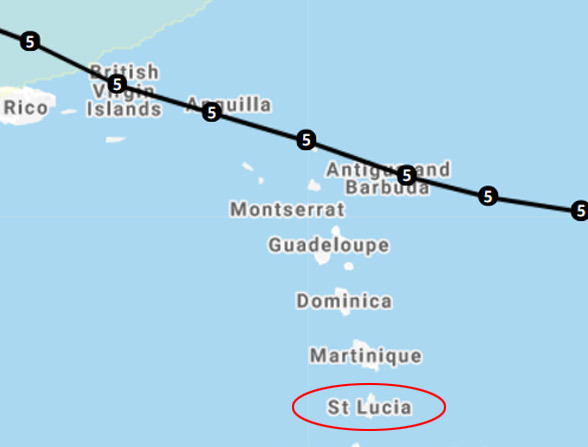 Then, if you complete your week with few other adventures you will definitely become a St. Lucian expert! 10:00 a.m. Welcome Meeting for All Guests: our office staff will explain some useful tips for our resort, the bay and the island, and provide more info on activities and things to do. Early Afternoon - try a snorkeling excursion as a fun, laid-back introduction to the island. Evening - try one of the many great restaurant options. If you're staying in Marigot Bay, you may wish to play around on some of the watersport rentals available on the beach like paddleboarding or kayaking. Or you could try having more fun out at sea with our local fishing experience or a whale and dolphin-watching tour. Evening: Enjoy a lovely St. Lucia sunset with our sunset cruise that leaves in late afternoon and comes back right as the sun disappears. Enjoy sparkling wine and hors d'ouerves. Go out to dinner at a restaurant in the bay after returning, or prepare a dinner at home in your villa with a hired private cook or with food we've pre-stocked in your fridge. If you're an active traveler and seeking some mid-week exercise, try a hiking the Pitons! Or, also not far from the Pitons, is the Jungle Biking Adventures of Anse Chastanet - a slightly less intensive way to exercise and explore a historic plantation in the jungle! Since you're in the area, try one of the many amazing restaurants with a view of the Pitons!. Only on Thursdays: Our north day sail which takes you north up to Rodney Bay. Explore Pigeon Island National Park, spend some time at the beach or shopping in the lovely Rodney Bay shops. OR try a day of , local fishing experience, horseback riding, or zip-lining! Explore the wonders of St. Lucia under the sea with a day of scuba diving to some beautiful reefs and shipwrecks via our partner dive center right in Marigot Bay. ORTry a day of , local fishing experience, horseback riding, or zip-lining! 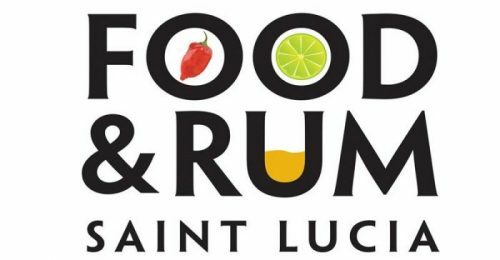 Evening: Don't miss the incredible experience of attending the weekly Friday Night Fish Fry Festival in Anse La Raye; fresh grilled seafood, cold drinks, music, and dancing - equally a locals' and tourists' attraction alike! Try a day of , local fishing experience, horseback riding, or zip-lining! 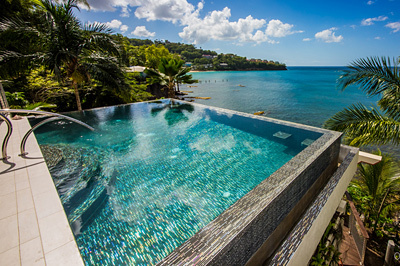 We've listed some of the most popular activities and suggested things to do for our guests while visiting in St. Lucia. Yet, there's always more to do! If you didn't find exactly what you're looking for above, here's some other things to do on the island below. We can help you arrange/book any of the following activities once you're on the island through our Guest Services Office. 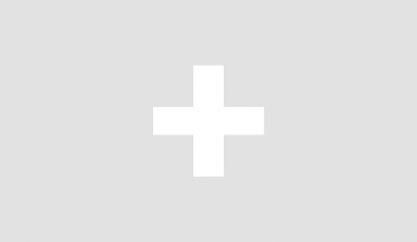 Or if you have something specific in mind that you don't see here, send us a message and we'll see what we can find for you! Keep in mind, we strive to keep prices and details of all these activities as accurate as possible on our website, but as they are provided by third parties we cannot always guarantee they are exactly as seen here.